All the applicants and constituents are hereby informed that some websites /blogs are unauthorisedly publishing distorted information about the forthcoming Common Recruitment Processes to be undertaken by the IBPS. 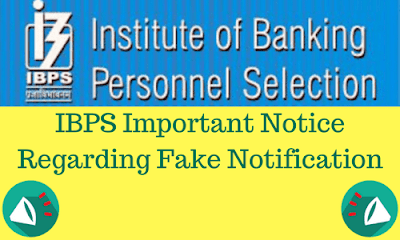 These unauthorised advertisements /notifications/information are misguiding and creating confusion amongst the candidates and constituents of IBPS. Under the circumstances, we request our applicants and constituents to refer the advertisements /notifications published on IBPS official website only for any reference and information.